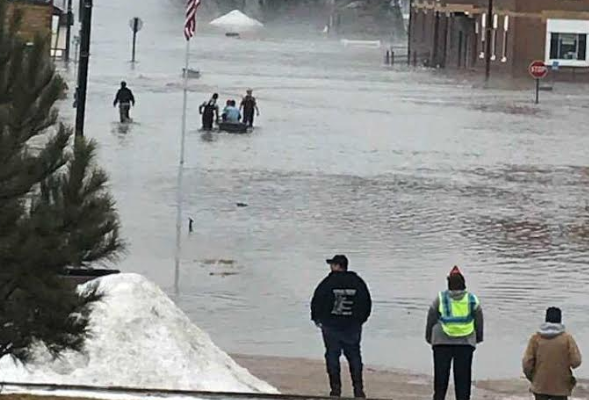 Evacuations forced by flooding have occurred in several eastern Nebraska communities, as western Nebraska residents struggled with blizzard conditions. Officials report protective levees were topped or breached Wednesday in southwest Sarpy County and north of Pierce. 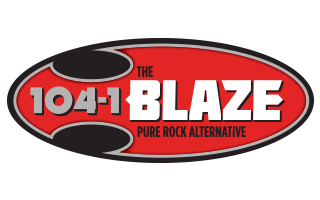 Evacuations have occurred in Belgrade, Burwell, Cedar Rapids, Dannebrog, Harrington, Pierce, Randolph, St. Paul, and Verdigre. 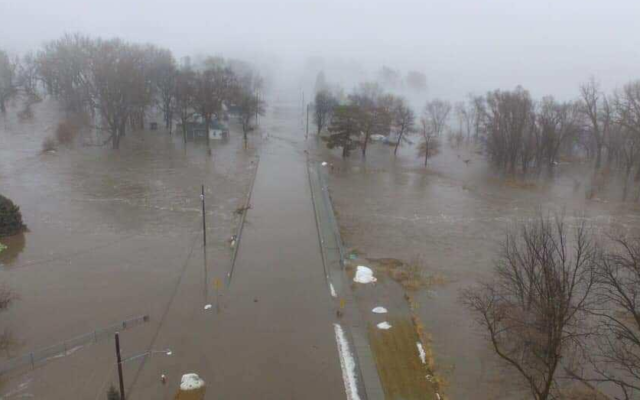 Rising waters of the Elkhorn River and its North Fork threatened hundreds of homes and forced evacuations in Norfolk Thursday morning. The National Weather Service says Loup River floodwater poses a threat to Genoa, where evacuations have occurred. Wind gusts approaching 90 mph were reported in the Nebraska Panhandle. The wind, blowing snow and snow-packed roadways made travel treacherous. The blizzard warnings remain in effect through 6 p.m. Schools, courthouses, and most businesses were closed in the Western and Northeastern parts of the state. The Nebraska Transportation Department reports that Interstate 80 remains closed west of Kearney, and numerous stretches of highways are closed in the Panhandle, Central and northeast Nebraska, including sections of U.S. Highway 20. All state offices closed in South Dakota as blizzard conditions barreled into the Midwest. Gov. Kristi Noem said only essential personnel should go to work at state offices Thursday, as the National Weather Service warns of blizzard and winter-storm conditions across several states. North Dakota transportation officials closed sections of major interstates after blowing snow reduced visibility to nearly zero. Blizzard conditions also hit western Nebraska, while heavy rain caused flooding elsewhere in Nebraska and South Dakota, and in Iowa. The weather caused widespread power outages in Colorado, where a blizzard forced the cancellation of hundreds of flights and wreaked havoc on roadways. A Colorado State Patrol officer was hit and killed by a car as he helped a driver who’d slid off an interstate near Denver. Rain and melting snow caused similar conditions in Iowa. National Guard troops were using specialized vehicles with tank-like treads to rescue stranded drivers in Colorado. Wednesday’s blizzard cut power to tens of thousands of homes and businesses. The storm also contributed to the death of Corporal Daniel Groves, a Colorado State Patrol officer who was hit and killed by a car as he was helping another driver who slid off Interstate 76 near Denver.